A group member tries to mime the activities after having a look at the pictures. 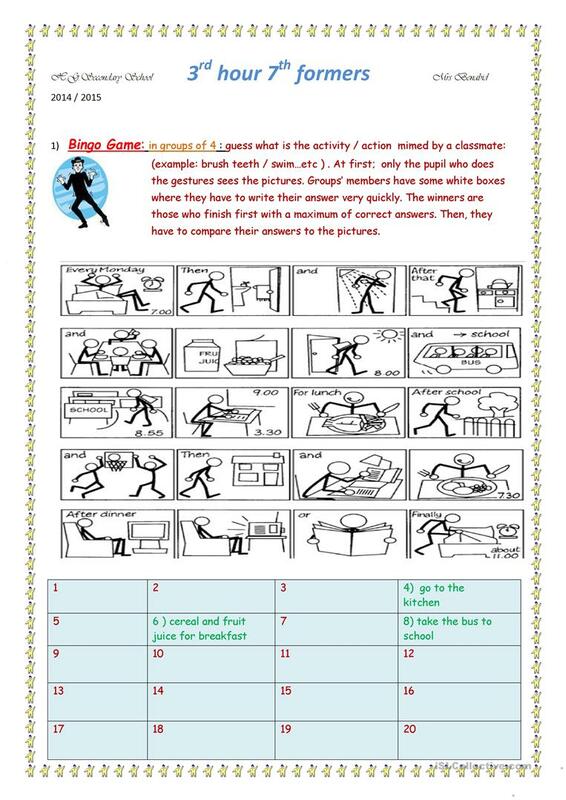 His mates, having no copy of the pictures, try to guess the activity and write it in the appropriate box. Four groups compete to complete their table the first and shout: BINGO! Right then, pens are put down, the winners mime the activities for all the class, and the correct answers are written on the board. 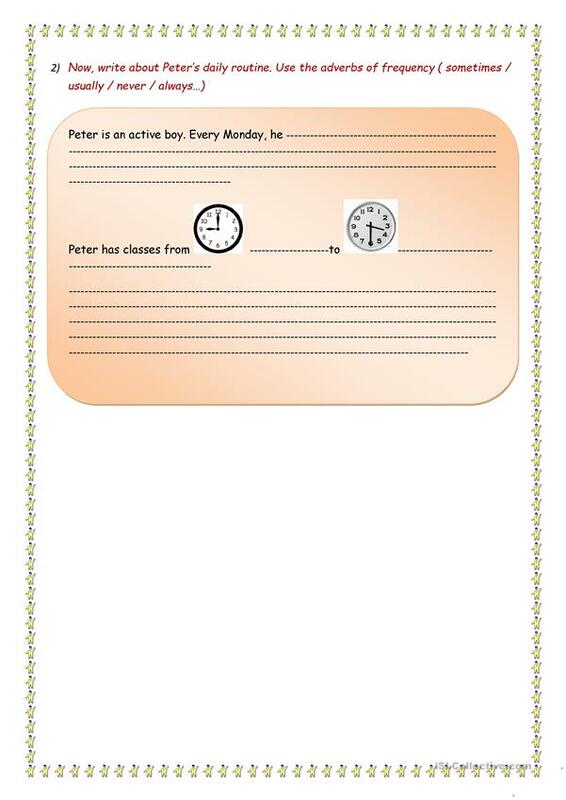 Now, they are meant to write a description of Peter's day bearing in mind what they learned in class: the use of linkers and adverbs of frequency! The present downloadable printable is best suited for elementary school students at Elementary (A1) level. It is valuable for consolidating Verbs: Action verbs in English, and is excellent for developing your pupils' Speaking and Writing skills. It centers around the theme of Daily routines. omlina is from/lives in Tunisia and has been a member of iSLCollective since 2010-11-01 06:52:30. omlina last logged in on 2019-04-08 19:31:04, and has shared 2 resources on iSLCollective so far.